Scientist are always on the forefront of exciting discoveries that may have an impact on the world. However, they must also be ready to face failures along the route of discovery, with multiple rounds of trials and errors. 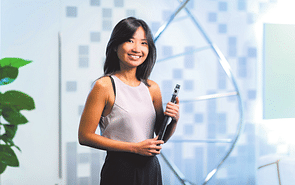 Undeterred, Dr Wong Liang Jie decided to embark on a career in science after talking to scientists. He also experienced what research was like through attachments at different A*Star research institutes after he graduated. 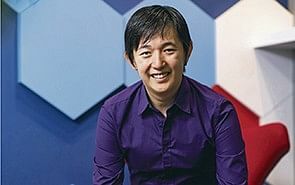 On the National Science Scholarship, Dr Wong got a degree in Electrical Engineering and Computer Science at the University of California, Berkeley, in the United States. Then, he completed a Master and PhD in Electrical Engineering and Computer Science at the Massachusetts Institute of Technology (MIT) in 2013. The scholarship, which covers tuition fees, living, travel and other allowances, also supported him for his postdoctoral fellowship in mathematics at MIT the next year. It came with a six-year bond, which included the one-year stint of attachments at A*Star between his degree and PhD. 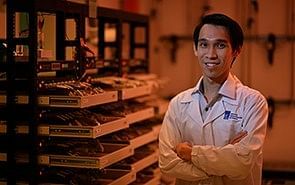 Dr Wong, 32, is now a scientist at the Singapore Institute of Manufacturing Technology (SIMTech), where he leads a project in its Precision Measurements Group. The team explores ways to develop chip-scale X-ray lasers for applications such as industrial diagnostics, biomedical imaging and security scanning. His team aims to find safer and more efficient ways of producing X-rays, which are indispensible in medical examinations, airport security screening and industrial diagnostics. The current technology relies on X-ray tubes, which suffer from a lack of real-time tunability and power wastage. He says: “By leveraging the unique properties of two-dimensional materials like graphene, we recently conceived a method that can overcome these challenges, generating tightly-focused, dynamically tunable X-ray beams in a compact and efficient setup. Dr Wong spends much of his time developing theoretical models, working with numerical tools and keeping abreast of the latest scientific developments by reading journal and conference papers. At other times, he brainstorms with fellow scientists, postdoctoral fellows and interns at meetings or even via Skype with collaborators from the US. What, then, keeps scientists like Dr Wong all juiced up? That, and the ability to work well with others, which according to him is “especially important when science is becoming increasingly interdisciplinary and scientists becoming increasingly specialised”. Since papers and oral presentations are the main channels of scientific dissemination, effective communication is a must. Being hardworking and having a strong technical or scientific aptitude are pre-requisites. It also helps that his laboratory mates and bosses are openminded and supportive. He says: “The environment is very conducive to work. The people in my workplace are very friendly and helpful. There is a lot of openness here, and people are very willing to share and listen to new ideas. 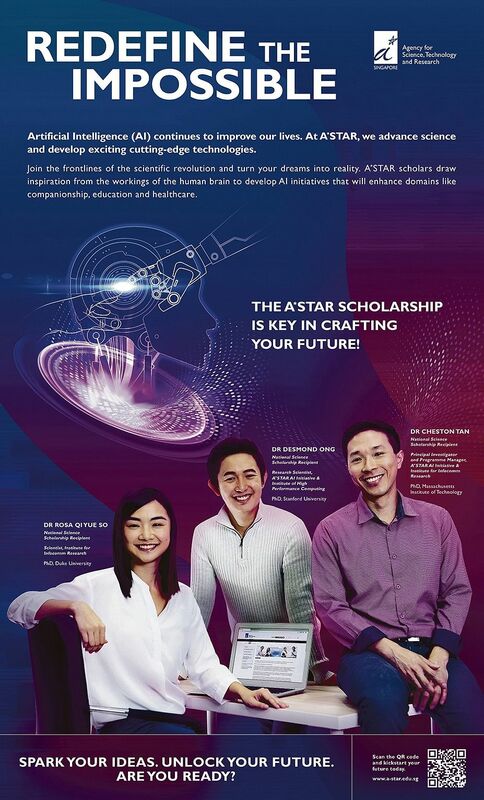 Before committing to a scholarship and a PhD in science, Dr Wong strongly recommends getting some exposure to research first, such as internships at one of the A*Star research institutes, which has many attachment programs with local universities and other institutions. This way, one can be sure that solving science problems is really one’s calling, he says.